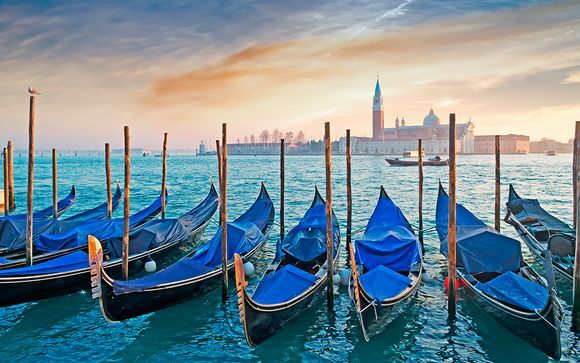 Hotels to Venice up to -70% off To take advantage of these offers, join now for free! 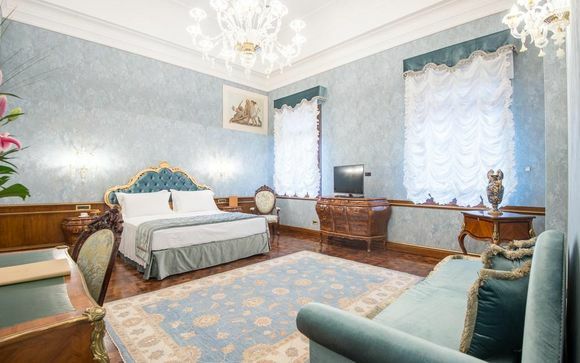 Looking for the perfect hotel stay for your romantic break to Venice? Then look no further. Below we look at 10 Venice hotels perfect for your next Italian getaway. If you want to experience luxury whilst in Venice, then this 5-star resort is a perfect choice. With close proximity to the Lido, yet on the beach, this is the perfect combination of culture and relaxation. Top features include a private beach and a fantastic restaurant, swimming pool and fitness centre. Another 5-star hotel with extraordinary style. Located just 400 metres from St Marks Square, you're in the peak location to experience the romance Venice has to offer. Top features include a Michelin Star restaurant, an on-site bar, free WiFi. An elegant hotel located on the iconic Grand Canal of Venice. It's got its own private water taxi entrance, a terrace to enjoy views with a glass of wine and free entry to the Venice Casino is included with your stay. Located in the Cannaregio district which is pegged as the "true Venice", this 4-star hotel has all you need. You're only 20 minutes from the famous Rialto Bridge. The location and beauty of this hotel deliver on all areas. A multi-award winning 5-star hotel located in the heart of Venice, this is a property that oozes sophistication and class. 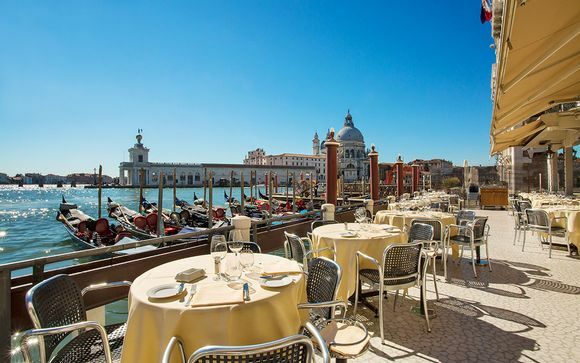 It's housed in a 15th-century building overlooking the Grand Canal, and there is a panoramic water restaurant with magnificent views. This beautiful hotel is a short train ride from Venice canals which makes it a perfect base for exploring. Top features include a restaurant, bar and fitness centre, beautifully decorated rooms, and a garden for relaxing and enjoying a glass of champagne in the evenings. This is an exclusive hotel, on an exclusive island which will give you the ultimate luxurious escape to Venice. Located on the private island of San Clemente, it's only 10 minutes from Piazza San Marco by boat, so still in a great location for exploring. Top features include antique courtyards, beautiful gardens, an outdoor pool and a variety of restaurants. This four-star hotel is perfect for couples seeking romance and luxury. The property is housed in a typical Venetian-style building, which overlooks Rio de la Fornace canal. Top features include fireplace views, an on-site restaurant, and free WiFi. This palace hotel is set in a historic building with a beautiful canal entrance. 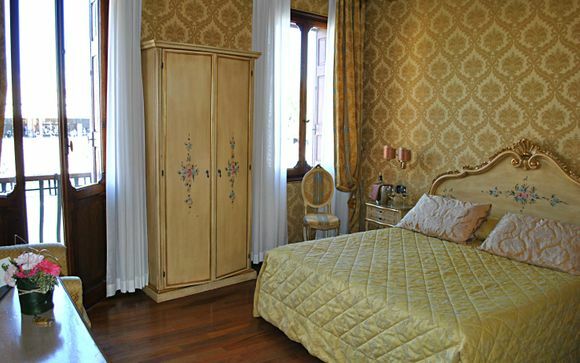 It's located in the heart of one of the most romantic cities in the world, just minutes from Piazza San Marco. Other features include a complimentary visit to Murano, free WiFi, breakfast and more. 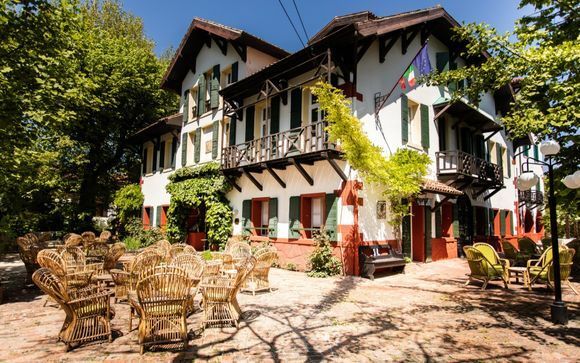 The beautiful 15th-century Hotel Nani Mocenigo Palace is an exquisite example of Gothic Venetian architecture. It's located in one of the oldest (and most authentic) areas of Venice. Top features include a lounge bar, a gallery and gardens for relaxing. What services will you find in our hotels to Venice? Our Venice hotels include a wide range of services that will meet all your needs. 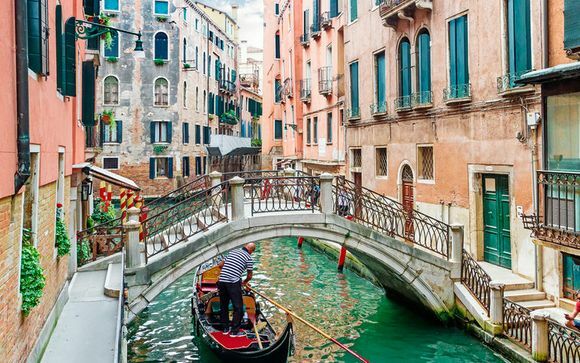 Venice is one of the most romantic places on earth, so it's filled with fantastic activities for everyone. 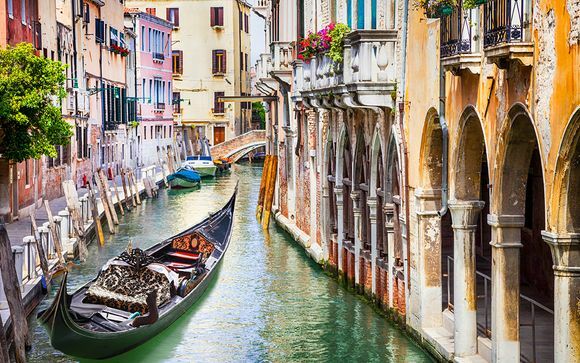 Whether it’s a romantic Gondola Ride for two cuddled up on a gliding gondola whilst writing your own personal Venetian romance, or a day trip to the nearby fantastic islands of Murano and Burano, Voyage Prive offers a range of additional add-ons that can transform your trip. From on-water hotels, boutique hotels, to iconic palaces with Gothic architecture, our selection of hotels in Venice has something to suit absolutely everyone. Current offers include stays at the LaGare Hotel Venezia MGallery by Sofitel and the Hotel Ca'Sagredo which overlooks the Grand Canal. Venice: What should we bring for a hotel stay? Your best hotel in Venice: how to get there and make your booking? 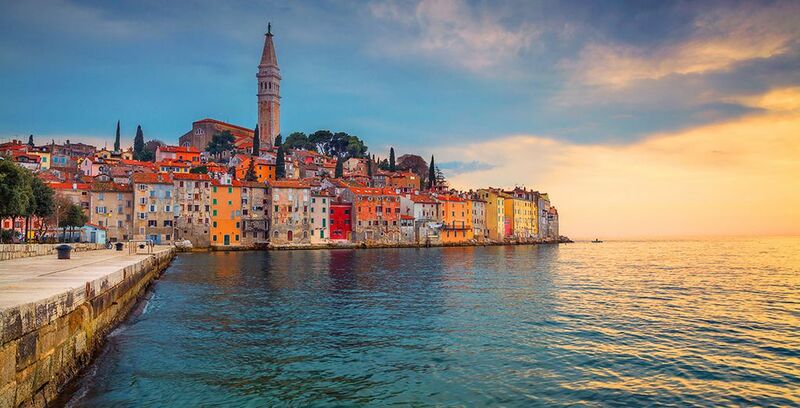 The quickest and easiest way to get to Venice is via aeroplane. 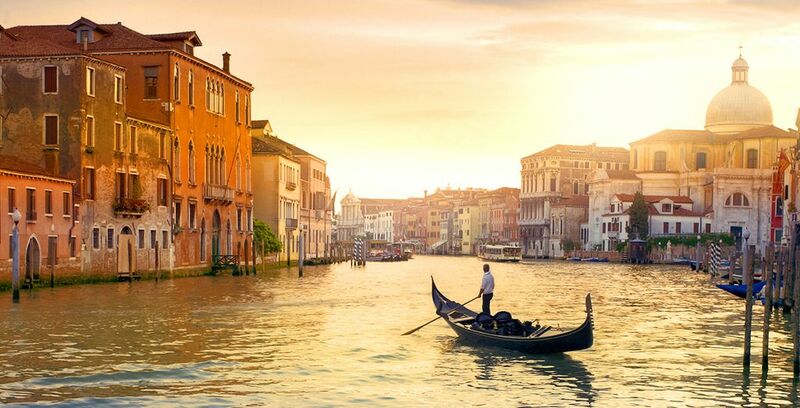 With our inclusive hotel packages, we include flights to Venice with a scheduled or no-frills airline. There is also the option to add transfers from the airport to your hotel, to add ease to your journey. You could also drive to Venice from the UK via France. Travel time from the UK to Venice is around 2 hours. to take advantage of exclusive offers dedicated to members only on all luxury hotels in Venice. "The city on water", is one of the most famous spots in Italy, and the world. 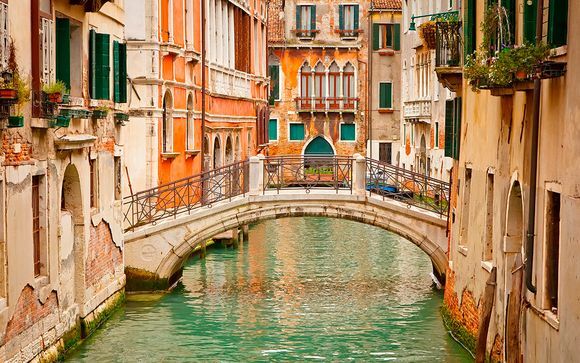 Venice is a destination that only an enamoured dreamer could have imagined. The reality never disappoints. With so much choice on where to stay, you can find something to suit your tastes and personality. 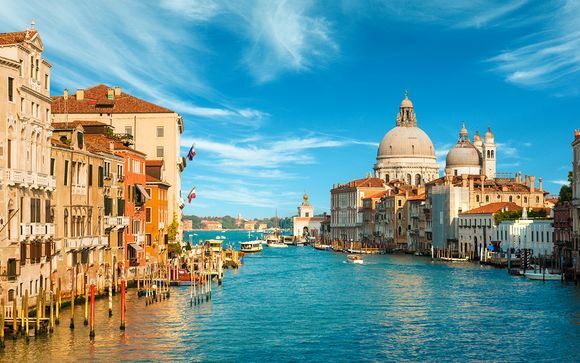 Whether you wish to overlook the beautiful canals of Venice, or stay on your own exclusive island, or even stay in one of the older and more authentic districts of Venice, we absolutely have something to suit you. Venice is a city that will leave you wanting to return. With grand sites and buildings, beautiful canals, fantastic food and drink, it's truly a place that captures the hearts of everyone who visits.